Update: More pictures have been released by GDM.or.jp which show the upcoming GA-Z87X-OC and GA-Z87X-UD5H motherboards in their final retail design. 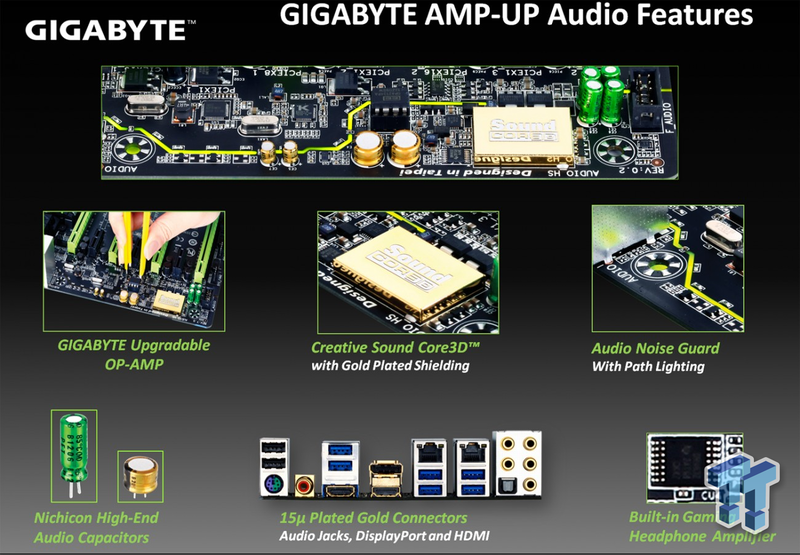 Gigabyte has showcased some of their upcoming Z87 motherboards with their latest AMP-UP Technology for Intel’s 4th generation core “Haswell” processors. 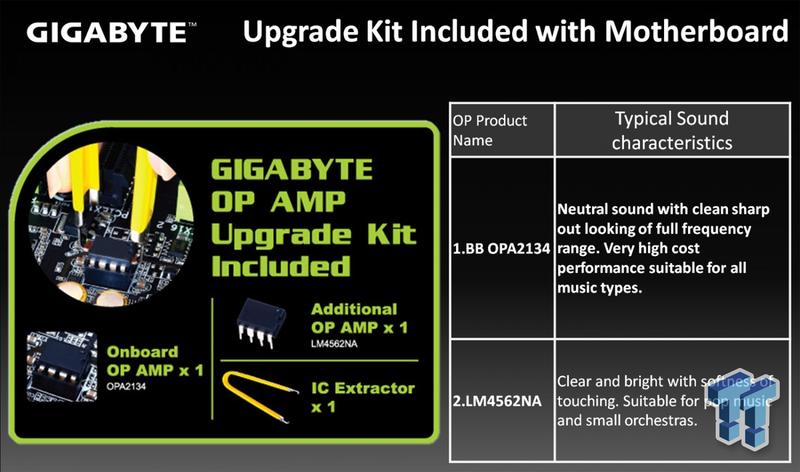 Revealed by TweakTown’s Senior editor “Shawn Baxter”, Gigabyte would be featuring their upcoming G1.Sniper Z87 motherboards with the latest AMP-UP tech which allows users to enhance the level of audio according to their preference. 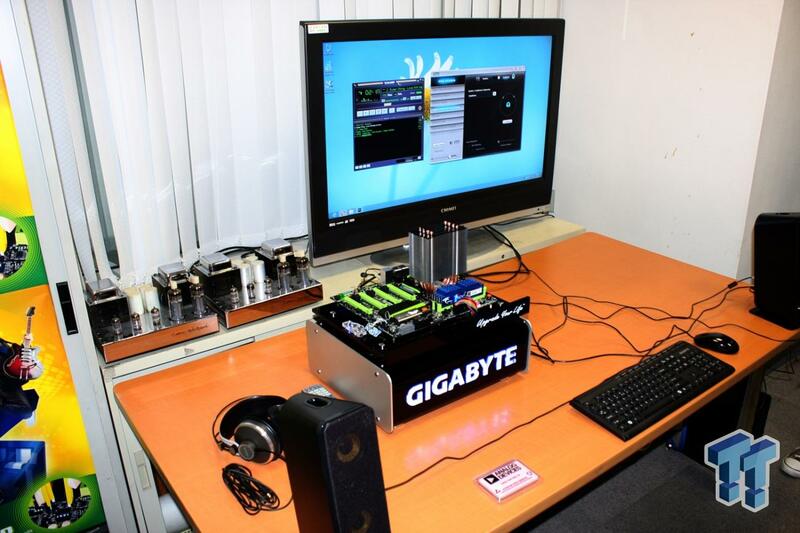 What Gigabyte has done here allows users to manually replace the onboard AMPs and select from a range of eight different AMPs that can be customized through Gigabyte’s editing and configuration suite. 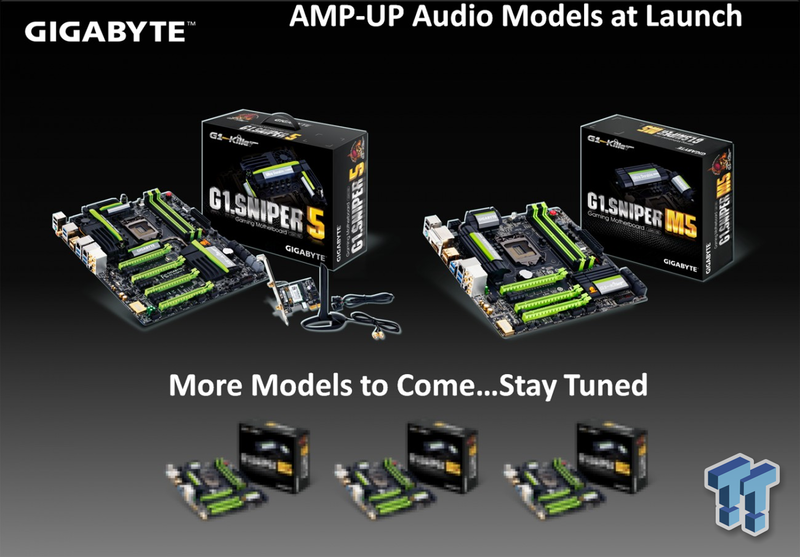 For now, only the G1.Sniper Z87 motherboards have been announced to make use of the AMP-UP technology feature set that features Gigabyte’s upgradable OP-AMP, Creative Sound Core3D with gold plating shielding, Audio Noise Guard with path lightning, Build-in gaming heatphone amplifier, 15u plated gold connectors that includes HDMI, Audio jacks and displayport and Nichicon High-End audio capacitors. 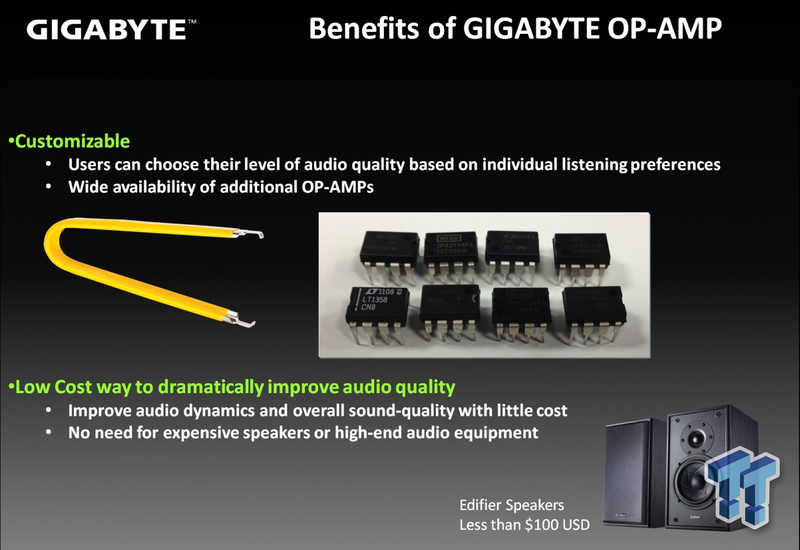 With these audio enhancements, Gigabyte guarantees that users won’t have to spend cash on expensive speakers since their current speakers quality would vastly improve with the added features on their upcoming Z87 motherboards. 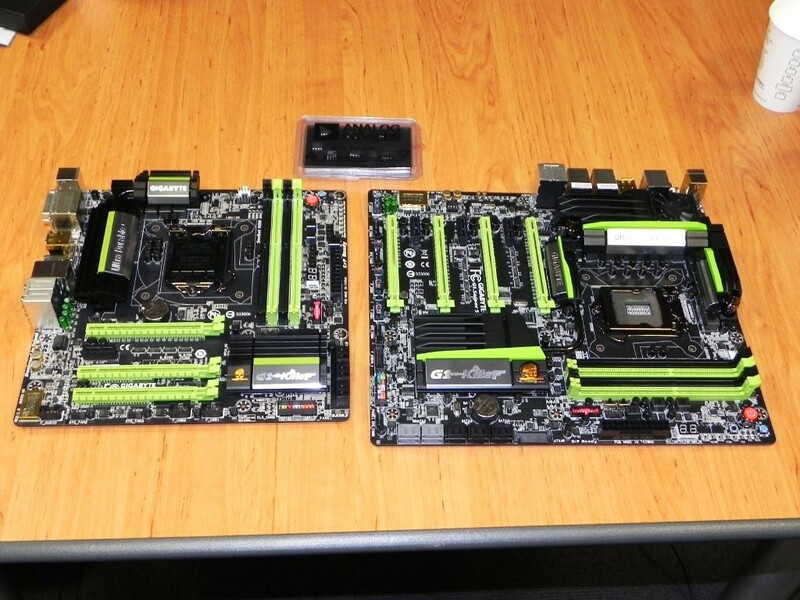 Gigabyte also had a few Z87 motherboards, notably the G1.Killer 5 showcased during the event. 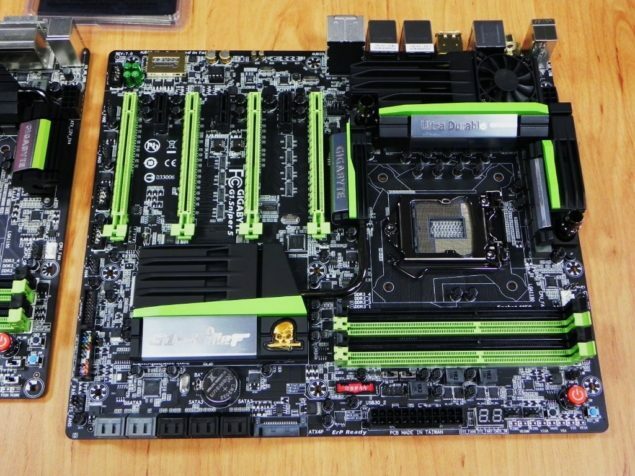 The same motherboard was being teased along with other Z87 motherboards but atleast now we have a complete overview of how the motherboard would look and what features would it boast. 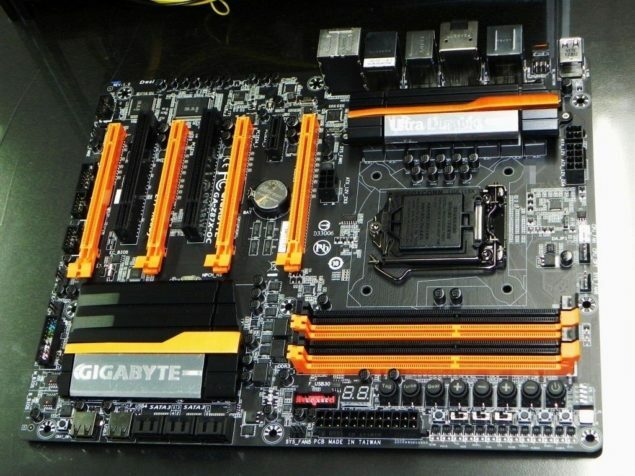 While the G1.Sniper 5 comes in the ATX form factor, Gigabyte also revealed their Z87 G1.M5 which features a Micro-ATX design, three PCI-e 3.0 x16 and one PCI-e 3.0 x1 slot for expansion and 6 SATA 3 connectors. 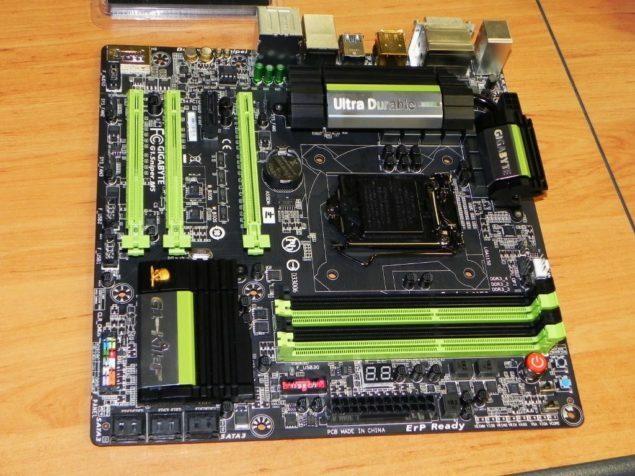 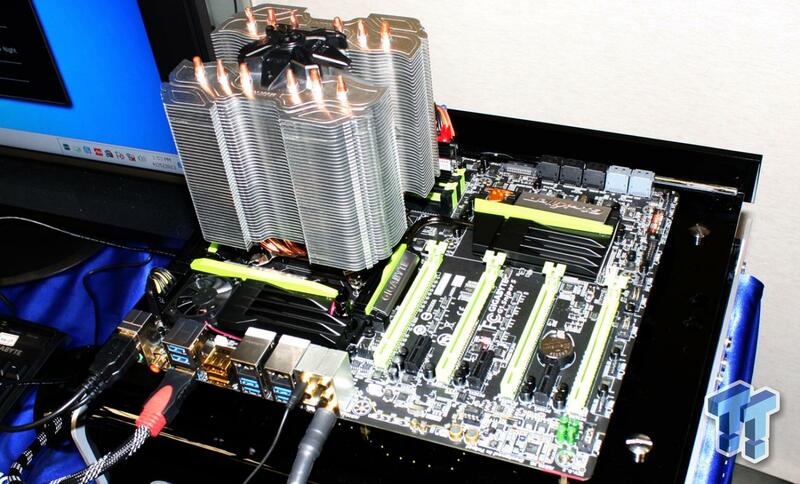 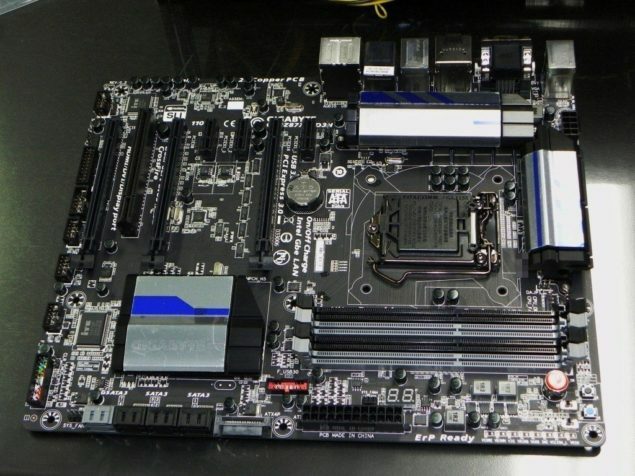 Three additional Z87 motherboards falling under the G1 category are mentioned but are blurred out. 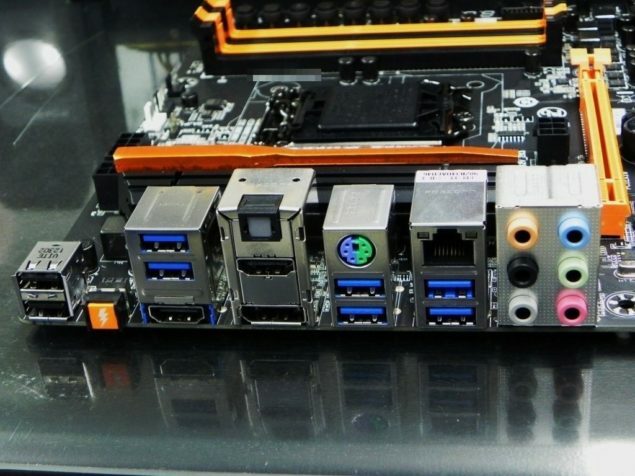 Hopefully, they would be revealed before launch at Computex 2013. Rest of Gigabyte’s Z87 lineup can be seen here. 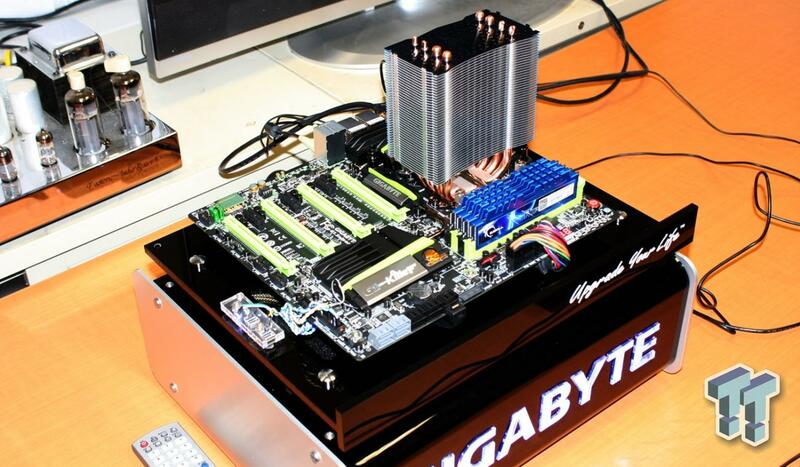 Following images are courtesy of TweakTown!